Can I get a little help here?! In this episode of the eCW Podcast, host Adam Siladi takes time to chat with Dr. Troy Carlson, owner of Family Tree Medical Associates. The two discuss the eClinicalWorks PCMH model and how it has helped Family Tree achieve Level 3 PCMH recognition. The Clinical Decision Support System helps guide medical professionals as they develop treatment plans and order tests for their patients. CDSS is an evidence-based system that generations alerts and recommendations for each patient based upon their age, medical history, and the time since a previous procedure was performed. CDSS is particularly effective for patients with chronic diseases, and provides a convenient way for providers to ensure that recommended preventive health measures are carried out. Population Health Dashboards enable medical professionals to quickly visualize, understand, and act upon clinical information. Providers obtain insight on inpatient/outpatient costs and utilization, pharmacy, and DME services. They can identify high-risk patients and devise better care plans using closed-loop analytics. Health data can be sorted by ZIP Code and/or region. 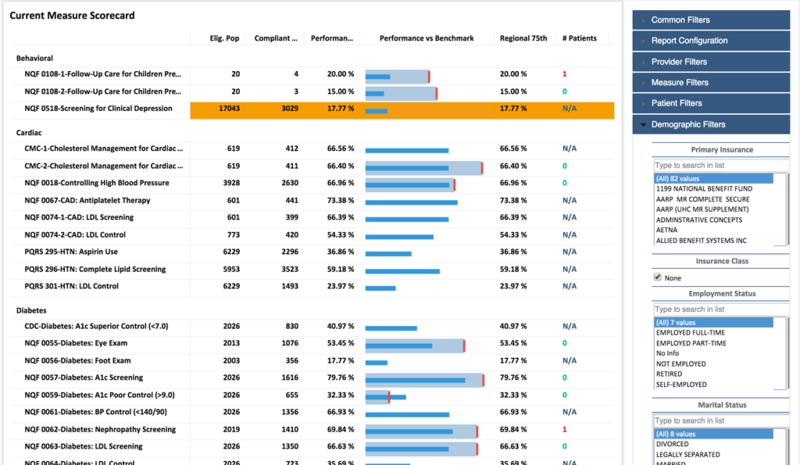 Dashboards can compare local health trends to national trends and benchmarks, tracking progress and issuing alerts as needed. Consisting of zones of measures across multiple domains of care, the Healthcare Effectiveness Data and Information Set (HEDIS) is a key tool for measuring quality of care, as well evaluating patients’ access to and satisfaction with services. 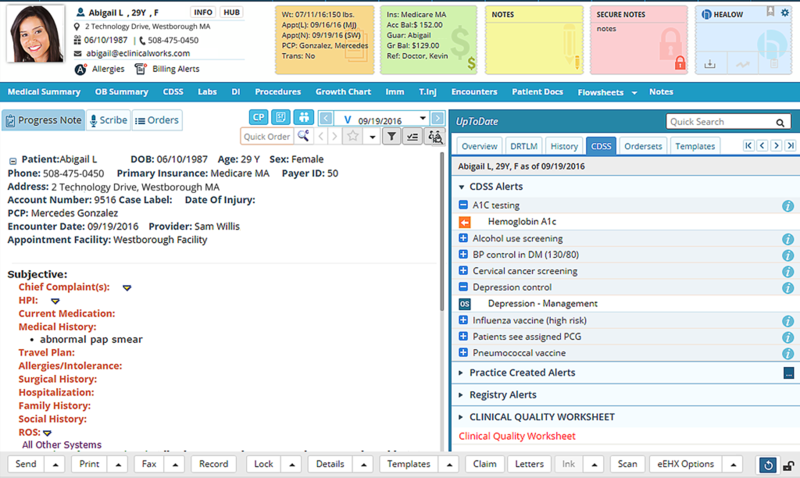 The eClinicalWorks PCMH solution includes a HEDIS dashboard that enables practices to identify gaps in care, measures patient compliance with treatment plans, and provides analytics with closed-loop alerts at the point of care. Listen to our podcast easily on your smartphone when you download this episode from iTunes®. Adam: Welcome to the eClinicalWorks Podcast, I’m Adam Siladi and today we’re here with Troy Carlson, Family Physician and Owner of Family Tree Medical Associates in Hastings, MI to talk with him about how he’s been using eClinicalWorks and the Patient-Centered Medical Home model to rethink how he’s been delivering care to his patients. Dr. Carlson, thanks for being here. Dr. Carlson: It’s great to be here. Adam: So, your practice, Family Tree Medical Associates, is not your first or only venture. Tell us a little bit about how we got here today. Dr. Carlson: Well, Family Tree started in 1999 with myself and another physician. And since 1999, Dr. Garber and myself, who’s the other physician working here at the practice, came together and said ‘Hey, we want to do primary care in Hastings, Michigan.’ So, with that, we started this practice with a couple of nurse practitioners at the time and basically have grown the practice over the years that we’ve been here, up and through this year, 2016. There was a transition in 2012, where Dr. Garber took another opportunity to practice in a different location. So, with that change, I became a solo practitioner, with a nurse practitioner here in the practice. That was quite a change and an adjustment, but the evolution of Family Tree, I think a couple major points — in 2006, we went to something call patient-centered care, which is a precursor, I think, to Patient-Centered Medical Home. That was kind of a mindset change that the practice underwent to really understand putting the patient at the center of care. The next major change that occurred was in 2007, when we adopted eClinicalWorks as our patient tool to help us do what is now Population Management. So those are big things, I think, in terms of Family Tree and its progress and really has put us into a different mindset and a different course through those things that transpired. Adam: So you’ve been a Patient-Centered Medical Home for a long time now, longer than you’ve even had eClinicalWorks, it sounds – what have you learned going through that medical home process? Dr. Carlson: Well I think a Patient-Centered Medical Home, at its heart, is really about putting the patient at the center. I think a lot of times in healthcare, in our training, in our education, a lot of times it’s focused on the clinician and their expertise and their understanding — and the reality is that without patients and our understanding of their perspective, we’re going to miss a lot of things. I think that mindset of taking and looking at patients from their perspective — certainly you have to be technically sounding in your understanding of disease, and illness and health prevention — but more importantly for us to really start to relate to patients is when we put them at the center of care. So I think that’s really the cornerstone of Patient-Centered Medical Home. Our official designation of Patient-Centered Medical Home came from Blue Cross Blue Shield of Michigan in 2009, and then we were NCQA accredited, Level 3 Patient-Centered Medical Home in 2010 and maintained that status throughout these seven years that we’ve officially been a Patient-Centered Medical Home. Adam: I usually tell providers that I work with that PCMH is more like going to the gym and less like doing your taxes. Dr. Carlson: Yes, I think that’s a fair analogy. Adam: So, you mentioned in another conversation that we had that part of your EMR selection criteria was that it needed to have a strong registry. 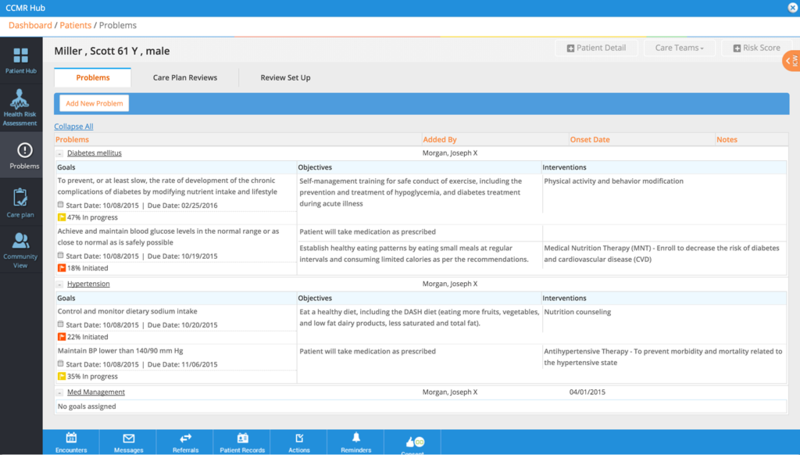 Can you talk about how eClinicalWorks has been able to fulfill those requirements and help you determine what you need to do in order to meet your unique approach to care? Dr. Carlson: I would say that has been one of the paramount things for our success, is the ability to know and understand who you’re caring for each and every day. And so, from the inception through the extensive process that we went through prior to the selection of eCW in June of 2007, was to recognize and know who it is that we’re caring and for and what is it that they have, what medications are they on, what our disease burden here in the practice and how do we proactively care for that? As physician, I was most frustrated by the things happening to us, especially as a family physician, I’m not an emergency doc because I don’t like that feeling — I like to be proactive in the care that I’m delivering. So, when you have a patient registry you see the patient and you have the ability to care for them even when they’re not present, and that’s the thing that I think some people most times forget about — is that we’re caring for people even when they’re not here and it’s not their visit. Whereas, in a paper world, it was just that patient came alive when it was their time and their day of the visit. And then they didn’t go away but they were still there on the shelf, but who were they, what were they about, and what was going on with them was more of a mystery. Not that patients and doctors couldn’t remember, but when you put that to the test, we’re not always the greatest in that. So having a patient registry that was real and that was real-time, that really allowed for us to then look at who we are as a practice and what it is that we wanted to do. Adam: You mentioned that comment of caring for the patient when they’re not here. What are some defining aspects of that concept, that you would use to explain to somebody that maybe doesn’t grasp it right away? Dr. Carlson: Caring for people when they’re not here is that — and this is a hard one, I think — in healthcare, to wrap a patient’s mind around, as well as insurances, that this is a relational pursuit and people have things that are not going to be fixed in a day. And especially as a primary care physician, this is a longitudinal experience, based on a relationship, and that’s dedicated on trust. And so, when people share things with us that we’re not going to be able to give them a pill or tell them to go to some place and immediately fix that. So we have this longitudinal experience about caring for people is interrelated to say our care managers and getting a prior authorization on behalf of a patient or trying to get a lab test or a radiology test that, right now, the insurance it pushing back on. So we have to go the extra mile or to go and talk to a specialist and, instead of waiting six to eight weeks to see the patient, we make a phone call, either the care manager or we providers do, to say ‘Hey, this is of great concern to us and we want to see this person sooner rather than later,’ and these are the care pieces that are taking place, as examples of care that’s happening, not just in real time or the time of the visit. It doesn’t stop. And then all of where we’re at in healthcare in terms of monitoring is that if you’re an uncontrolled diabetic, and you come in and your A1c is 10, that’s going to require a lot of time, energy and effort, coordinating with our nutrition people at the hospital, our dietitians, these are the types of individuals that need to get involved in this patient care. We don’t have all these resources right here in our office, but our job as a Patient-Centered Medical Home is to coordinate that care so that patient gets a touch from the people that are important and get their healthcare corrected or straightened out. 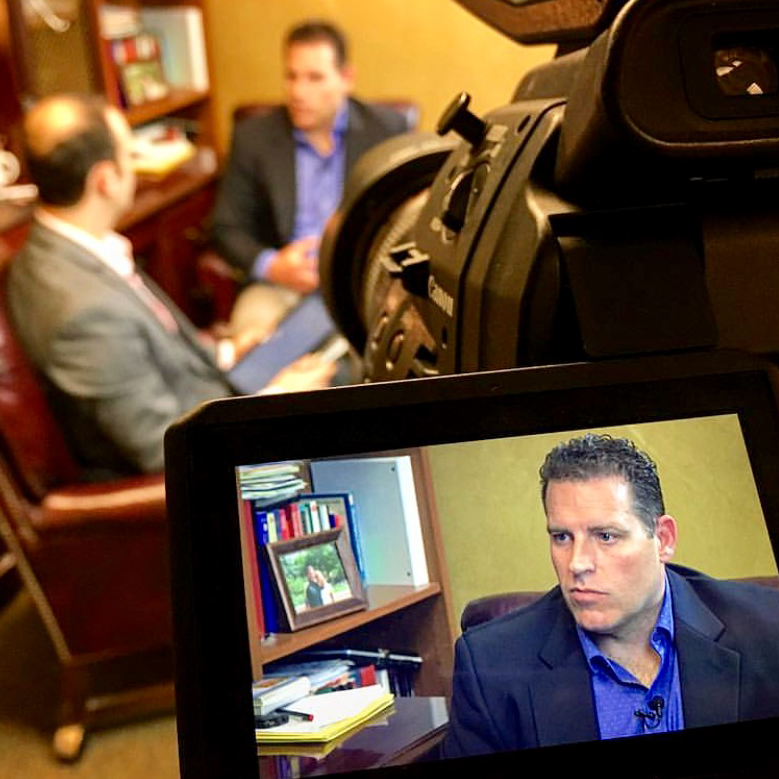 Adam: Well it certainly sounds like a lot of activities are going on and I think that brings up the notion that a lot of these programs — recognition, adoption, what have you — have a reputation of being an extra burden on the practice and that they’re putting more barriers and more requirements between a provider and a patient. Can you talk a little bit about maybe what you’ve done to rethink the way things operate, to make those requirements actually work for you? Dr. Carlson: I think it’s a real piece. I think physicians all across the country are lamenting about things being put upon them, and technology advancements, and adoption, and those sort of things, but I think if we ask qualitatively, what’s happening, I think about this more from a philosophical standpoint — is that a lot of us are paying a lot of money to see and get healthcare, and what is the value of that? And I think now that we’re trying to quantify that, because it is so expensive, it’s a precious commodity — but it’s not even a commodity — it’s just a precious relationship that needs to be really taken care of. Adam: Think about all these PCMH requirements, how do you, then, manage the things that you do have control over — like your schedule, for example? Dr. Carlson: For us at Family Tree, we really like to use the tool from eCW for that, because when you take the time to put in the details of all the things that are necessary to see a patient, including their past medical history, and, with that, we’re able to understand disease burden of our chronic patients, who have diabetes, hypertension, high cholesterol, the ages of our patients and what are the preventative guidelines for those ages. So, for us it’s almost a statistical question to answer, which is when you understand and know what your disease burden is and you know what your requirements are to see those patients, there are an amount of patient visits that you need to deliver to be able to meet your patients. So, for Family Tree, which is just under 3,000 patients, we’re able to recognize — knowing the days of the week that we work and what our schedule looks like — how many visits should be preventative, how many visits should be chronic visits and how many visits, being a Patient-Centered Medical Home, about a third of those need to be open for open access. So what we’re able to do is to see where we’re at for a practice, where our deficiencies might be in terms of provider volumes on particular days, as well as to make sure when we template out, in a perfect world, what that might look like, are we missing anything? So it really brings it down to focus, to really be able to see is our practice going to be able to meet the need of our patients? And then if there are deficits then I think that would be the time for our practice to say, ‘Hey, we really need to bring in another nurse practitioner or physician to be able to really help that need,’ or to make qualitative judgements to see if you’re growing your practice or are you shrinking your practice to make sure you are caring for your people within the practice. Adam: So my using this formula or calculation, whatever you want to call it, you’re able to know ahead of time, whether you’re looking at 10-, 12-hour days, or whether you’re right in the sweet spot of where you want to be with the hours that you want to work. Dr. Carlson: Yeah, and, as an independent practitioner, that is an advantage. You want to meet your patients’ needs, and physicians sometimes have a tendency to overdo it, in terms of their workload, related to their relationships with their patients. But I think this is a practical way of looking at that and that you can really look at your life and you can look at your family, as well as how you’re caring for your family, within the practice of family medicine, internal medicine, primary care, and then really try to quantify where you are at and answer those questions to really make it work for you and your practice. Adam: welcome back, I’m Adam Siladi and we’re speaking with Dr. Troy Carlson here at Family Tree Medical Associates in Hastings, Michigan. So we were speaking before about your experiences with Patient-Centered Medical Home and the impact that it’s had on your practice. Now, care planning is a major component for Patient-Centered Medical Home, and it seems to play a big role in the care that you provide your patients, but it’s obviously included for a reason. It’s not a given that it’s happening. So what would you say is missing from traditional care planning that is not currently being addressed – or are we even on the same page when we say care planning? Dr. Carlson: I think, Adam, what you’re alluding to is care management —which is the incorporation of other providers besides physicians or nurse practitioners in the office. Some offices have done this for quite some time, but for primary care, and that’s something that we’re involved with here in Michigan, is the Michigan Primary Care Transformation Project, which is the inclusion of care managers at the point of care. Care managers, to me, in their inclusion, have allowed for us to go to the next level of care for patients. And what I mean by that is this: In our patient visits, the patient comes in with a disease or condition, we review labs, we review medications, we talk about where those things are at, we listen to the patient, their concerns, and we try to address and make the patient look good in terms of blood pressure. Hopefully they feel good, in terms of what they’re feeling, although a lot of times that’s not something we can readily take care of. And even though sometimes what I like to tell patients is ‘You’re you-boxic’ — in other words all your labs line up really nicely and there doesn’t appear to be anything wrong with regard to that part of medicine, but there are other things that are going on with patients. Even though their labs and medications are doing fine, that somehow they’re hurting. And so, a lot of times, especially as a primary care physician, we get to learn about those things that are troubling patients, which can certainly at a later time impact their care. Adam: You sound like you’re addressing two points of the triple aim — which we hear a lot about —improving care, and as a result then improving population health. But there’s that third part of that triple aim, which is reducing costs. And a lot of focus has been given recently to the rising cost of prescription drugs, generic and otherwise. So, what impact is this care management supposed to have on overall healthcare spending? Dr. Carlson: Well, care management is addressing, I think, at least the way we’re doing it at Family Tree, that it needs to be technically sound, so we need to be good on the sciences behind the disease conditions, but more importantly, we have to be great with the patient and understanding where they’re coming from. Really, it’s an opportunity for us to kind of dig into that piece of patient care that otherwise wasn’t afforded — the social context with which we live our lives accounts for 50% of our healthcare spending. Adam: So it certainly sounds like there’s a big impact that this could have. You’re saying there are estimates that as much as 50% of all the spending is related to the choices that people make, or the things that they’re able to access, as a result of their social circumstances. Given all that you’ve been able to accomplish, which tools in eClinicalWorks have made the biggest impact for you? Dr. Carlson: I would say for us, it’s the ability to population manage our patients, which make the biggest impact on a regular weekly, or day-to-day or monthly basis, depending on the reports that we run. The patient registry is very important, and to be able to correlate information. I really appreciate the ability to individualize the care that you’re giving, so eClinicalWorks allows for structured data to be gleaned, so if you’re doing something uniquely as a practice and you want to know and understand what it is, you can set it up, such that you can see how you’re doing from your own internal report carding, if you will. But I would say overall the patient registry and your ability to know and understand your disease burden and then proactively manage your patients through population management, would be the biggest tool within eCW that we use, that has been helpful to us in our Patient-Centered Medical Home. Adam: so if you’re tracking patients, certain populations of patients, whether it’s disease-specific tracking or it’s an outside program specific tracking, how do you make that more visible within eClinicalWorks? Dr. Carlson: eClinicalWorks has a function — many functions, but one in particular that we use — since we’re involved in this national research, it’s the highlighting of a certain subset of patients, we used to use that tool to identify diabetics, which, from a care management standpoint, have more responsibility to and making sure in terms of coordination. Now, we use that tool to highlight Michigan Care Transformation Patients — which are about half our practice — but it helps for us to identify, and send a message to the rest of the staff as we work as a team, to make sure and identify that these people have special, potentially unique needs that go along with that in regard to us being in this research study. Adam: so you’re able to enable them in the registry and they’re highlighted on your schedule so you can see them at a glance? Adam: A lot of stuff to consider, obviously, that we’ve talked about, but there’s always more, right? We always know that there’s always more. What do you think independent physicians might not see coming in the next few years? Dr. Carlson: Well, if I know independent physicians, and, being one, I think I do, most of them, unfortunately, have a hard time staying up with the things going out externally to them because they’re so busy taking care of their patients. But, to answer your question, this transition to a value-based care, is going to be a huge one, and it’s a mindset change. Adam: Well Dr. Carlson, we certainly appreciated having you as a companion with eClinicalWorks, along this journey of yours, and of ours as well. We hope to keep seeing more of you and keep working with you in the future.